Did you miss The Voice on Sunday? 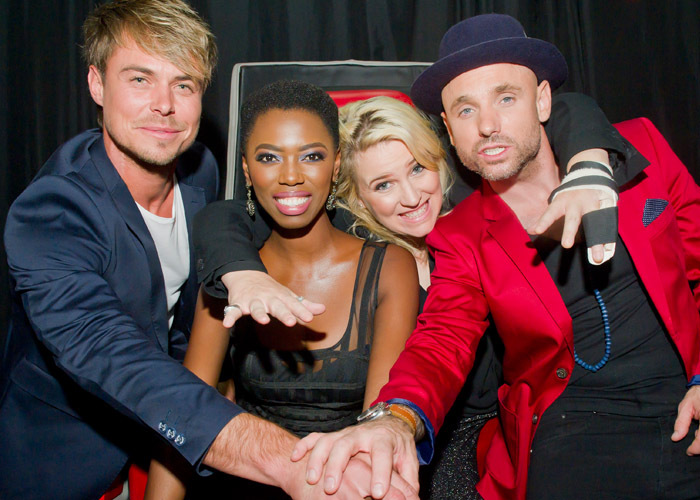 Here’s what went down after Karen Zoid, Bobby van Jaarsveld, Lira and Kahn Morbee played musical chairs. The judges were treated to a diverse mix of contestants this week. One of these was the oldest performer in the competition to date: 45-year-old Michelle Moodie, an English speaking former cabaret artist who braved the stage with one of her favourite Afrikaans songs. Lira, who has been extremely selective and strategic in terms of compiling her team up until now, was the envy of her colleagues this week, however, after young mother Sibulele Miti (27) from King William’s Town and back-up vocalist Robin Pieters (25) decided to go with her. The three new additions to Team Bobby are rocker Xanilee Hammond as well as Abel Knobel (24) and Chanel Davids (27).